One this date in 1793, during the French Revolution, Marie Antoinette was beheaded in Paris. 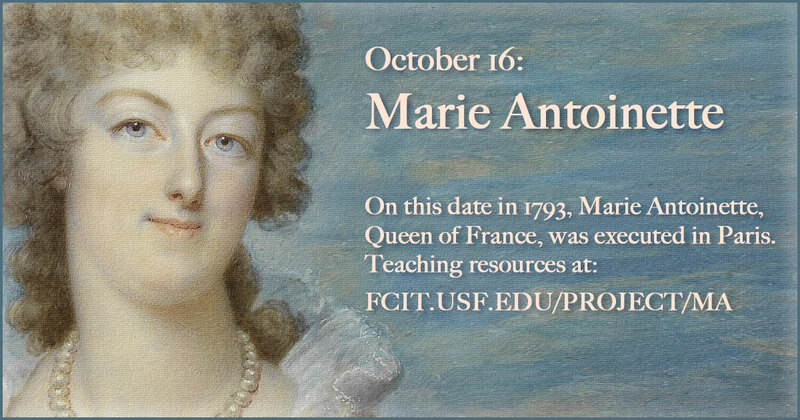 Use this banner on social media to share our collection of teaching resources around Marie Antoinette. 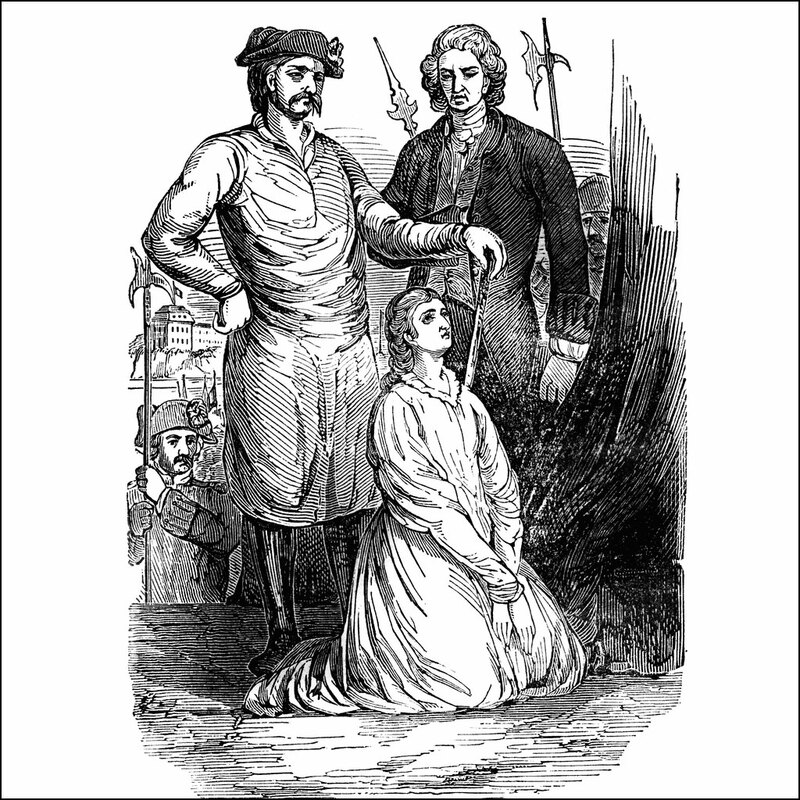 The execution of Marie Antoinette on October 16, 1793, from the ClipArt ETC website. 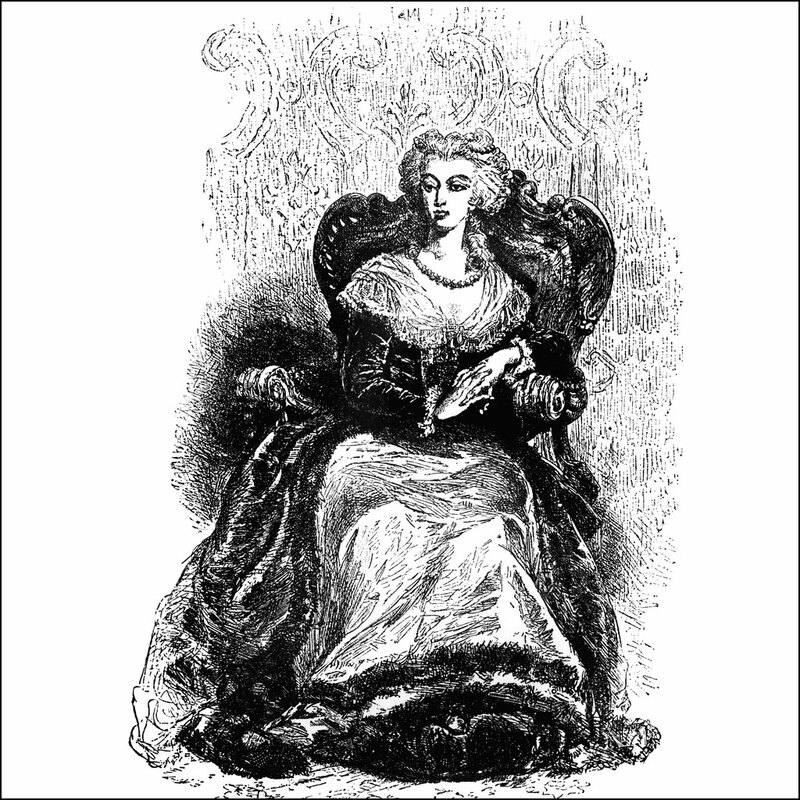 Seated portrait of Marie Antoinette from the ClipArt ETC website. 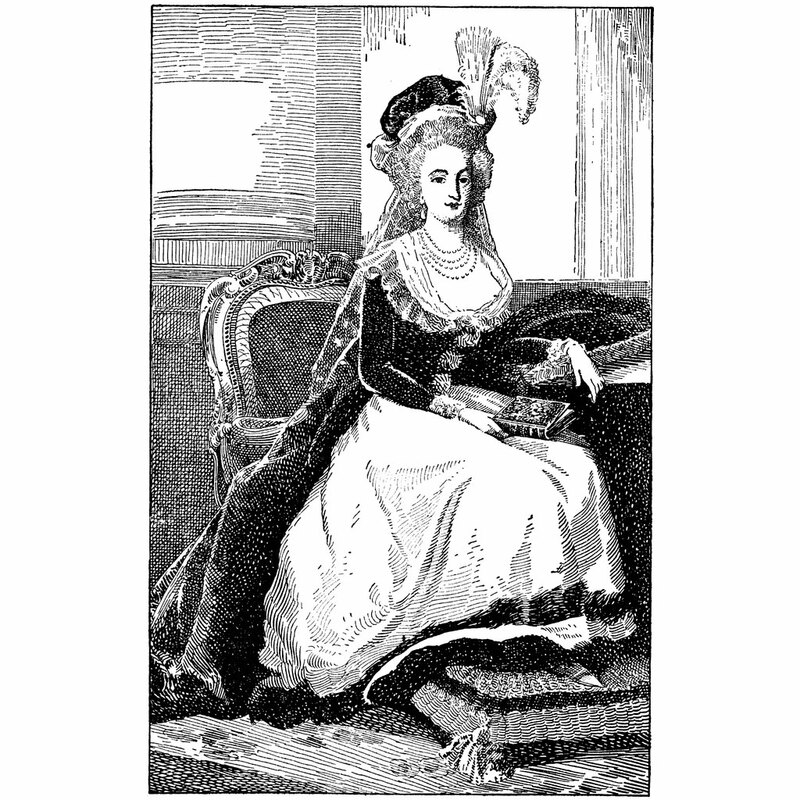 Portrait of Marie Antoinette with book from the ClipArt ETC website. 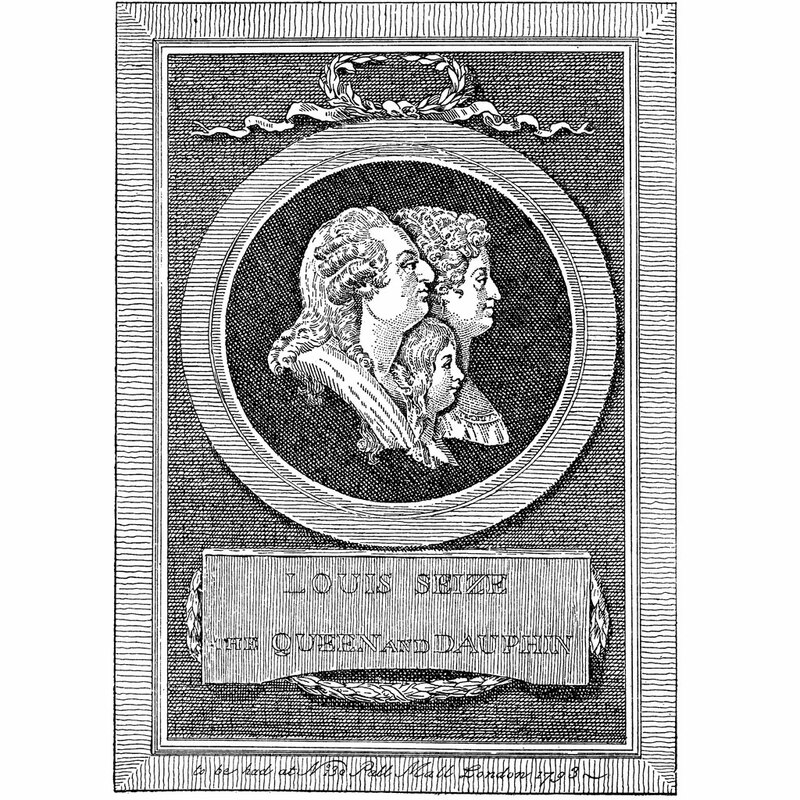 Louis XVI, Marie Antoinette, and the Dauphin from the ClipArt ETC website. 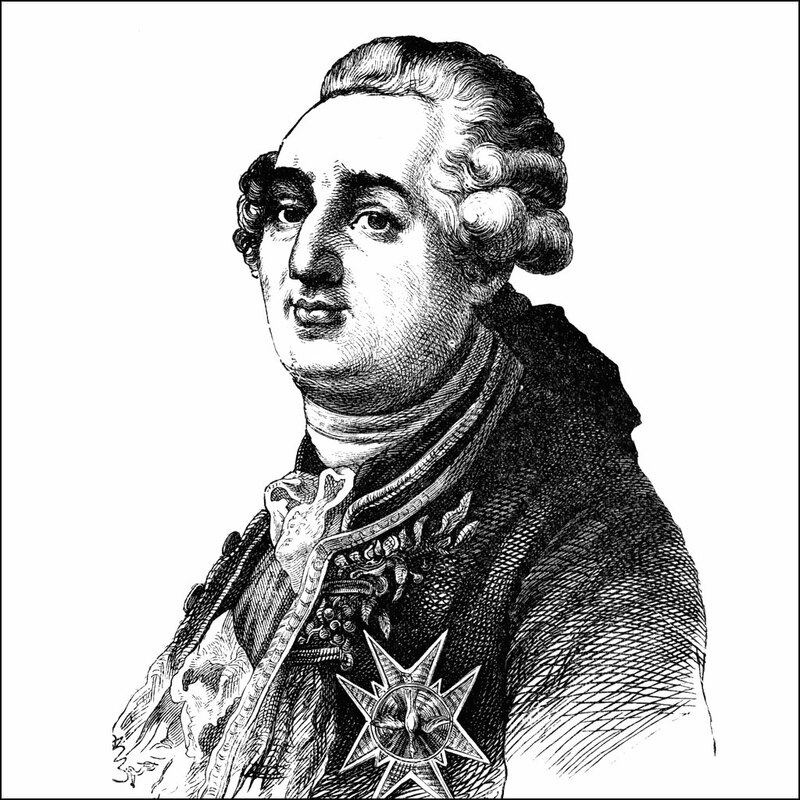 King Louis XVI, husband of Marie Antionette, from the ClipArt ETC website. 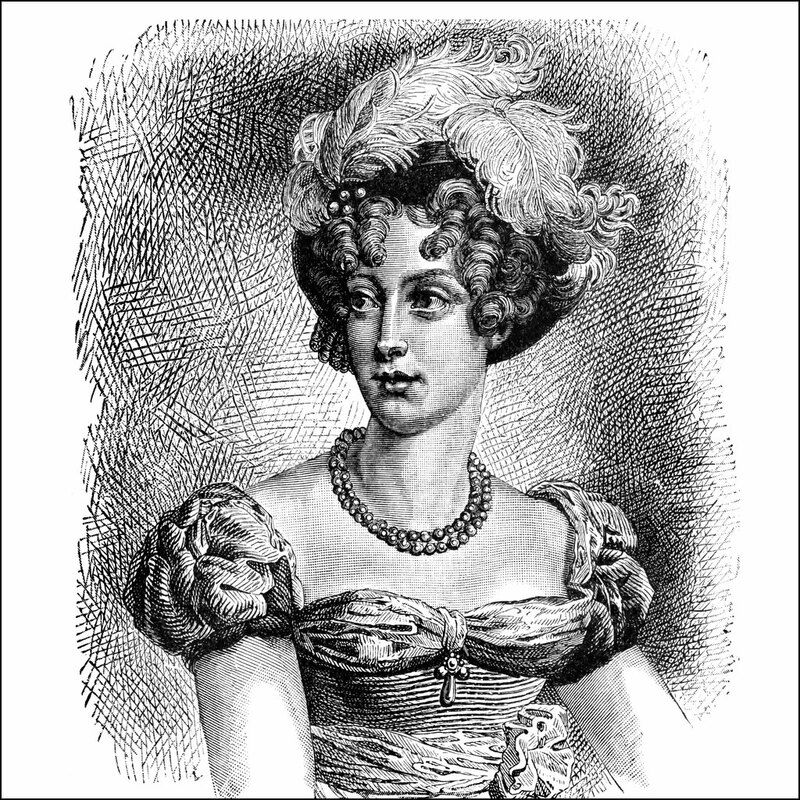 Marie Caroline, sister of Marie Antionette, from the ClipArt ETC website. 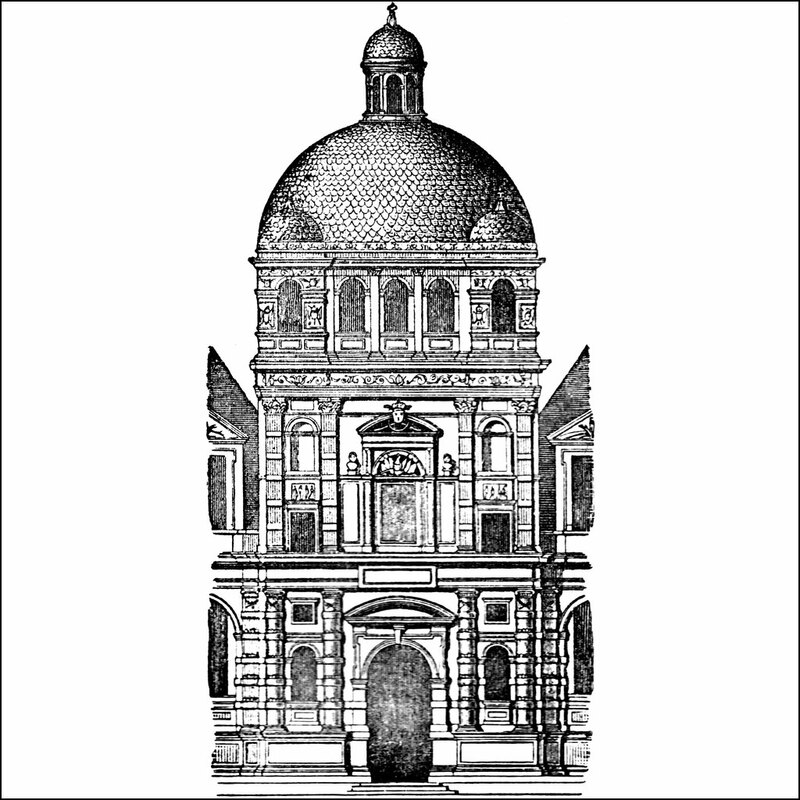 Illustration of Versailles from the ClipArt ETC website. Marie Antoinette and here husband Luis XVI lived here until October 5, 1789, when a crowd marched from Paris and forced the royal family to return with them to the Tuileries Palace in Paris. 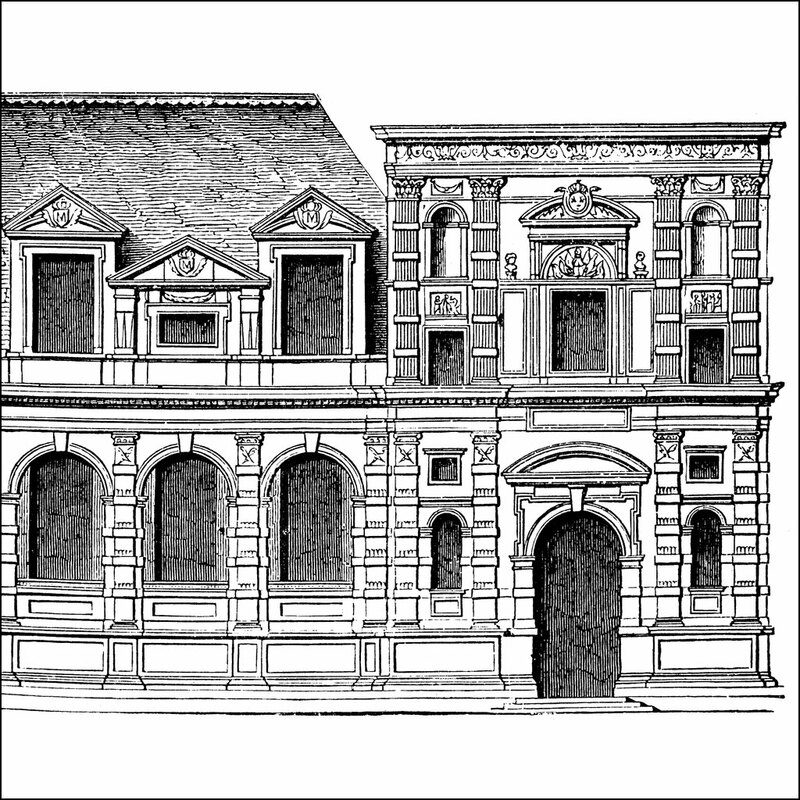 Facade of the palace of Versailles toward the gardens from the ClipArt ETC website. 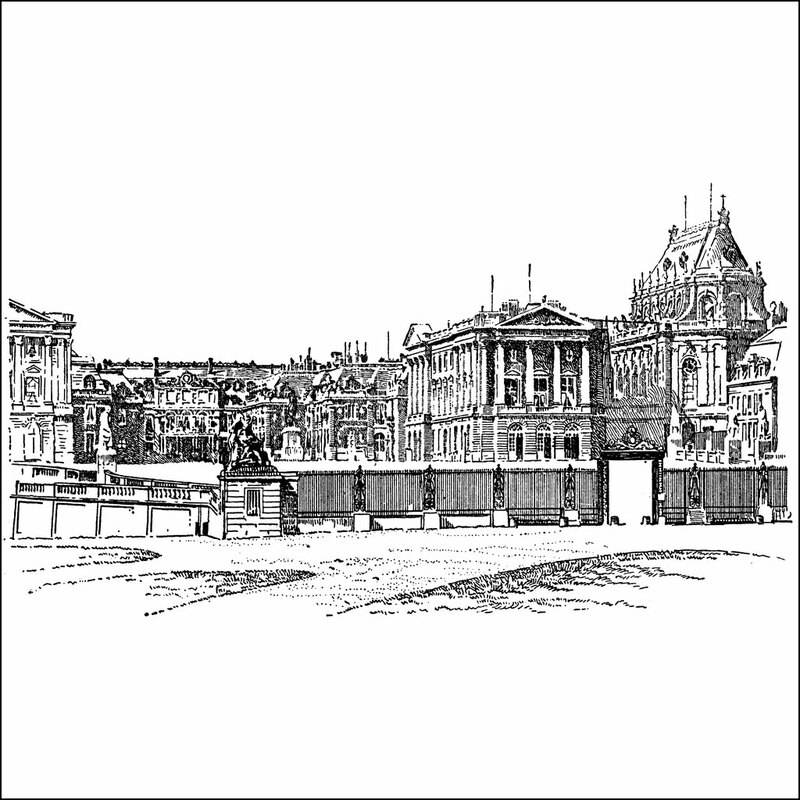 Tuileries Palace from the ClipArt ETC website. 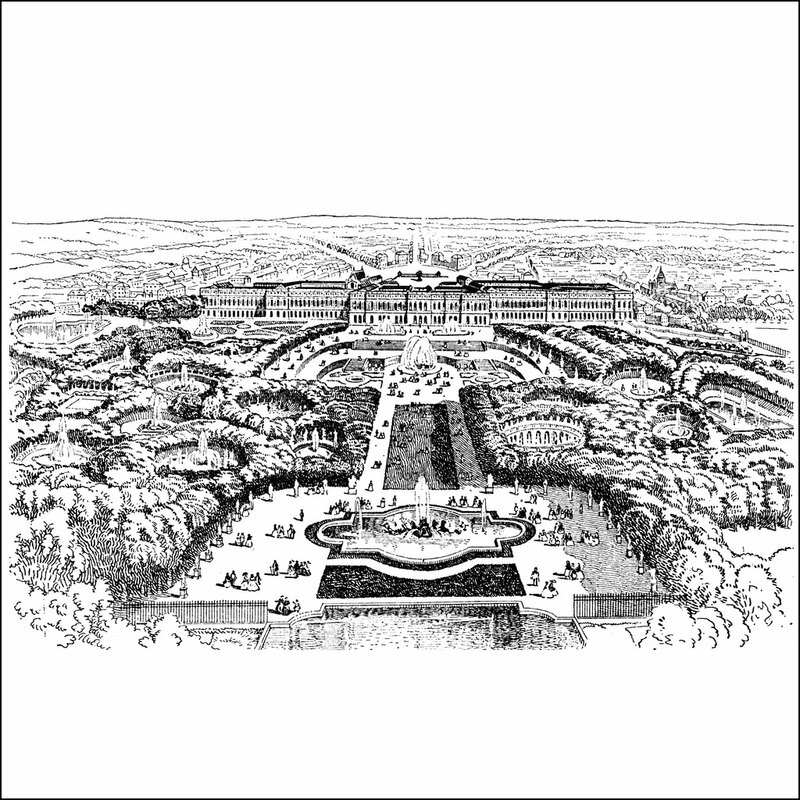 The royal family was forced back to the Tuileries Palace in Paris by a crowd in 1789. 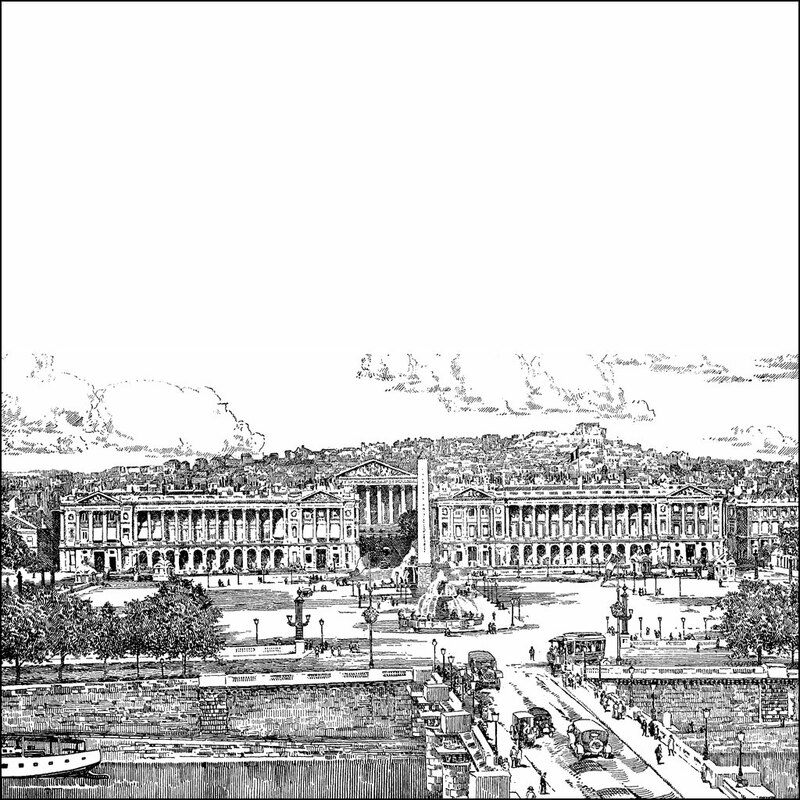 Façade of the Tuileries from the ClipArt ETC website. The palace was stormed on August 10, 1792, forcing the royal family to take shelter with the Legislative Assembly. 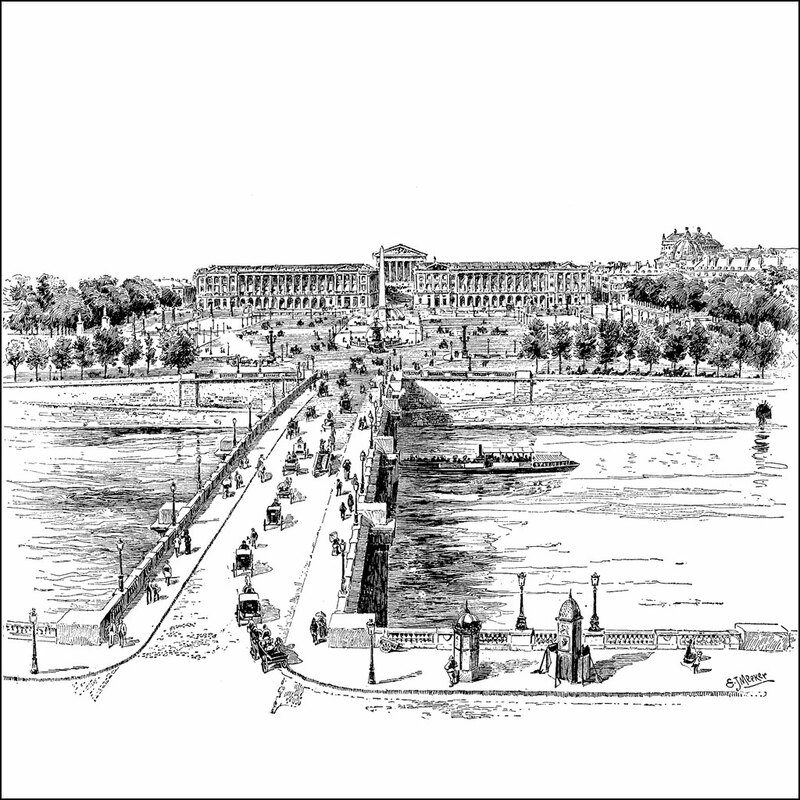 Place de la Concorde from the ClipArt ETC website. It is the largest square in Paris and was the site of the execution by guillotine of King Louis XVI, Queen Marie Antoinette, and other French nobles. 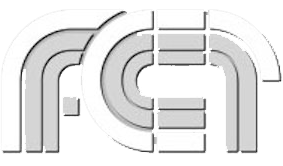 Place de la Concorde from the ClipArt ETC website. 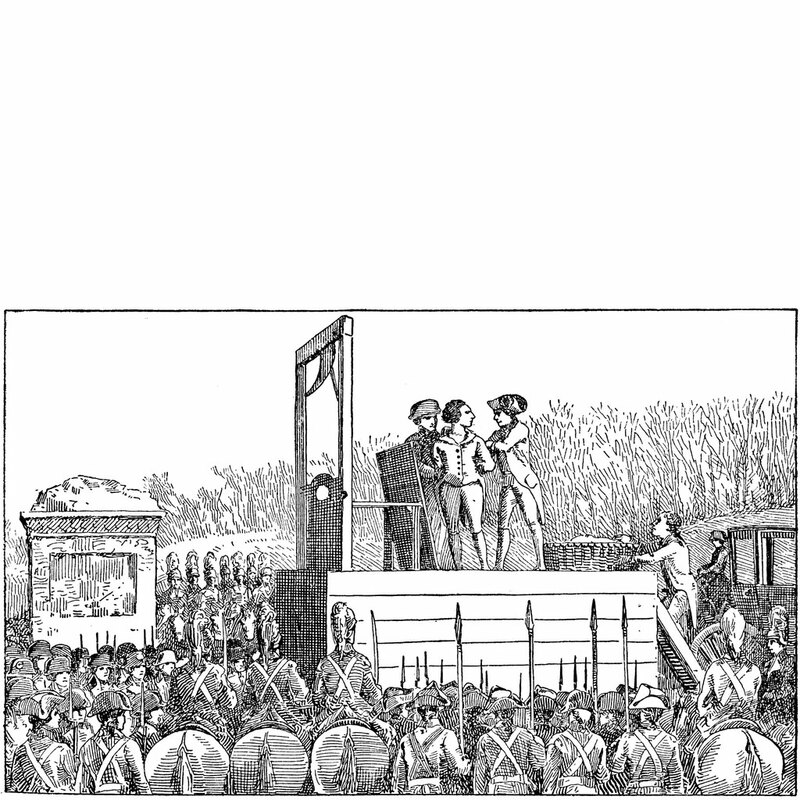 The execution of Louis XVI by guillotine from the ClipArt ETC website. 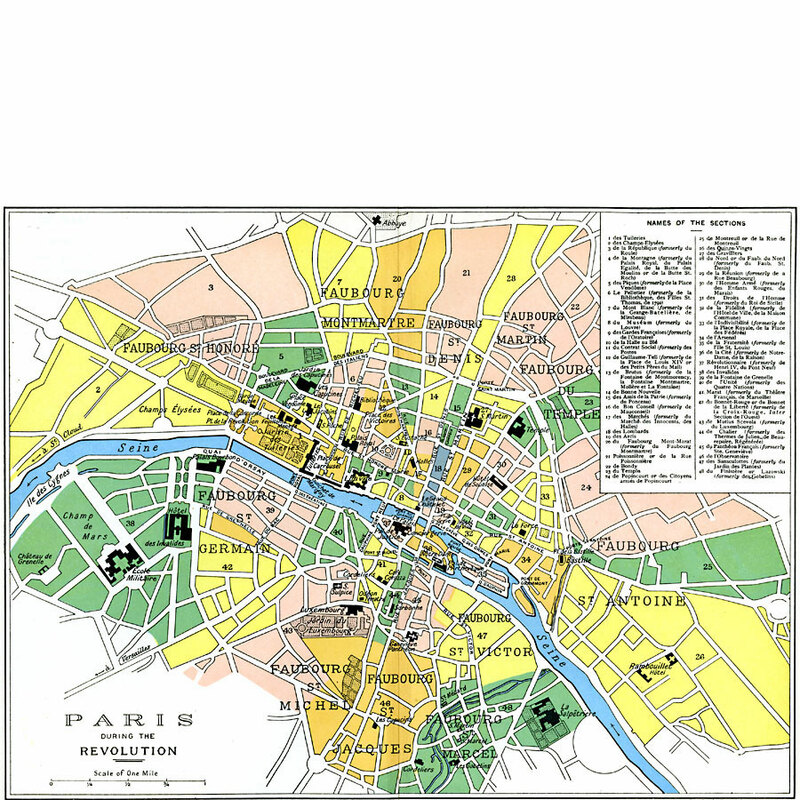 A map of Paris at the time of the French Revolution (1789–1799), showing important landmarks of the period, including the Bastille, Hôtel de Ville, Palais Royal, Louvre, and Champ de Mars from the Maps ETC website.